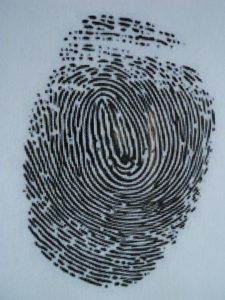 Massachusetts law now requires fingerprint-based criminal history record checks for most individuals involved with Department of Early Education and Care (EEC) licensed, approved, or funded programs. EEC, the Massachusetts Department of Elementary and Secondary Education (ESE) and the Executive Office of Public Safety and Security (EOPSS) have partnered with MorphoTrust USA to implement the Statewide Applicant Fingerprint Identification Services (SAFIS) Program and are working to provide convenient applicant fingerprinting enrollment centers throughout the Commonwealth of Massachusetts. NOTE: This Registration Guide is intended to provide guidance to individuals who are licensed or employed by EEC, or seek licensing or employment with an EEC-licensed family, small or large group/school-age child care provider, residential care program or adoption/foster care placement agency, as well as in-home non-relative caregivers, adoptive or foster parents and their household members, and individuals who provide transportation services on behalf of any EEC-licensed or funded program. If you work for a Pre-K program run by a public or private K-12 school, please consult the ESE registration instructions for Pre-K-12th Grade Education entities. Individuals will pay a fee to comply with this requirement of $35.00 for non-licensed employees and $55.00 for DESE Licensed Professionals (including those with pending applications/licenses). You will be provided with a fingerprint receipt. A copy of this receipt must be returned to the WPS Human Resources Department as a confirmation that the fingerprints were captured. If you have any further questions, please feel free to contact Jackie Meyer, Human Resources Secretary at 781-446-6210 ext. 5622.